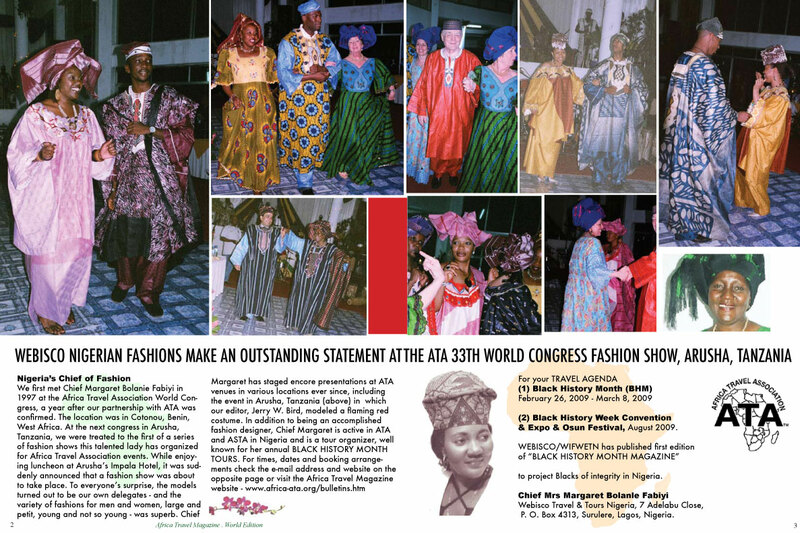 Click your way to African, African American and Diaspora Fashions, Designers and Travel Wear. 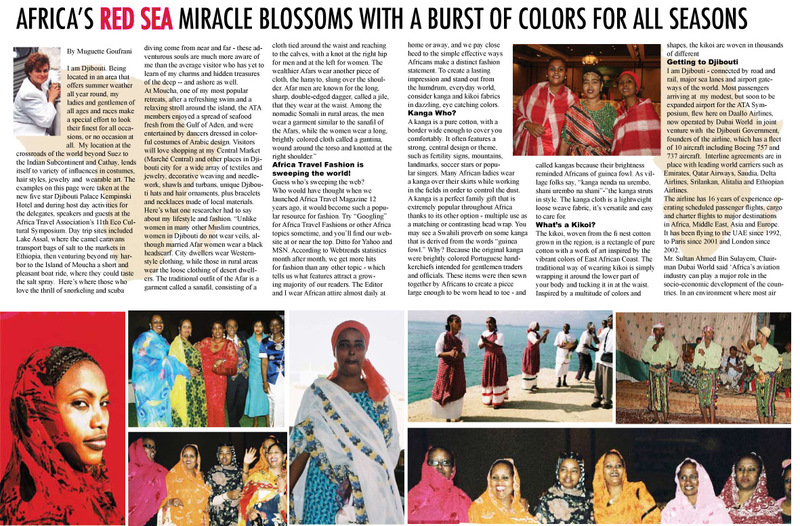 Click on page above for printable full size pdf version of this 2 page spread. . Click here for more sample pages . East Africa'sIndabaWhile East Africa's popular Karibu Fair celebrates its 10th Anniversary June 4-7, 2009, the most recent version could not have been held at a more opportune time - on the heels of two major events that brought the world to Arusha. We arrived on the scene in mid May to cover the Africa Travel Association's 33rd World Congress, with its focus on Marketing Africa Tourism Karibu means WelcomeFollowing the ATA Congress and Leon H. Sullivan Summit, we scored a "triple whammy," by covering the Karibu Fair for three exciting days. Karibu is Swahili for "welcome" and the Karibu Fair has become a powerful magnet of travel, trade and tourism, attracting visitors from near and far. Among the several hundred exhibitors are entries from the entire East Africa region, plus Southern Africa and Europe, almost all of whom are connected to the safari industry. The fair operates in close association with our friends at the Tanzania Tourist Board and the Tanzania Association of Tour Operators. Having completed its ninth successful show, Karibu is one of only two such events held in Africa, the other being Indaba in Durban, South Africa. 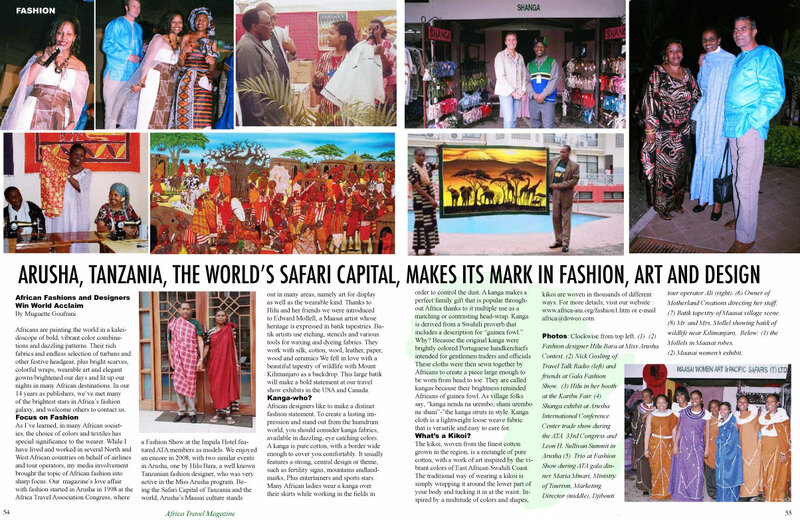 Now recognized as the major travel trade event in all of East Africa, Karibu has expanded from a local show to regional status, with ample room to grow, once media like ours spread the good word. The travel agents and tour operators we met or were reacquainted with during our stay, feel very much at home during the Karibu weekend. They can network and conduct business and in an ideal atmosphere, away from the hustle, bustle and gridlock of city traffic. Another contributing factor we like about the Karibu Fair is its location at the Arusha Airport. Being active in publishing Air Highways Magazine and staging Air and Marine Travel Shows in Canada since the early 90s, it was a joy to watch a variety of small craft coming and going overhead adding spice to the action. On hand were several familiar names and faces from our visit to Arusha in 1998, including Bobby's Tours of Arusha. Bobby not only drove us to the event, we joined him for lunch at Peppis with two Russian tour operators who specialize in safaris. Our ATA colleagues Peter Mwenguo, CEO and Amant Macha, Marketing Director of the Tanzania Tourism Board made sure we were introduced to the right people. The Zanzibar Association of Tourism Investors (ZATI) gave us a fond Karibu farewell by inviting us to a hospitality hour in their large Zanzibar section. Solid FoundationBased on the theme "Get Connected," the Karibu Fair's goals are as follows: Raise the show's regional profile by promoting East African tourism to the global marketplace; Produce the premiere travel and tourism trade fair in East Africa; Bring all key industry stakeholders in East Africa together in one place, at one time; Create opportunities for international visitors and overseas tour agents to meet and network with members of the East African tourism industry; Bring new destinations, facilities and products to the attention of overseas tour agents; Facilitate opportunities for overseas tour agents to visit the national parks and properties; Generate direct spending in the local economy, including hotels, restaurants, transportation and parks; Create employment, directly and indirectly. by assisting development of small and medium enterprises; Build alliances with neighboring East African countries and key tourism stakeholders, through combined efforts to promote regional tourism. Karibu Fair provides a venue for local and regional tourism products and services. You will not experience it all in a few short hours. We spent most of an entire day - and returned TWICE for an encore. Among the exhibitors are tourist boards, camping and safari companies, tour operators, air and land transport providers, mountain climbing outfitters, wildlife lodges , hotels, camping and equipment manufacturers. 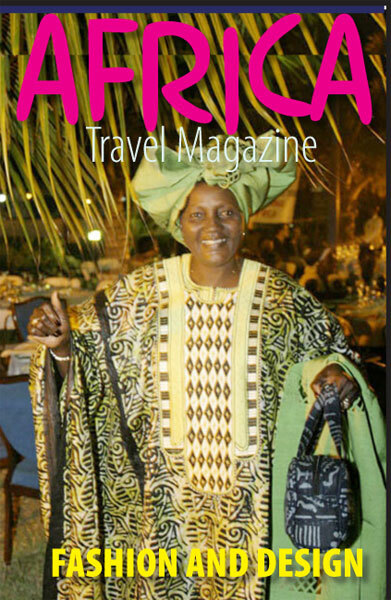 We at Africa Travel Magazine are impressed with the Karibu Fair and will give it global coverage through our award winning website and our magazine, which is distributed in North America, Africa and around the world.